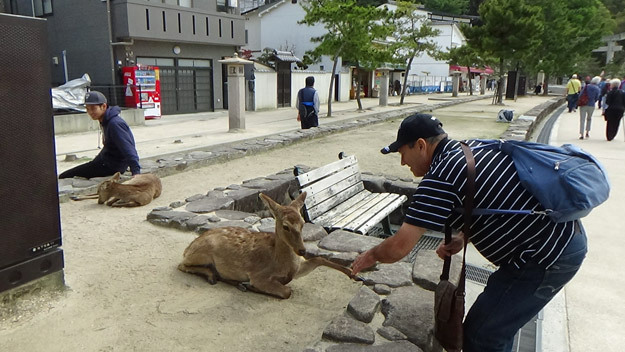 Mark Harris and Lachlan Burnet, two of our Business Development Managers, recently returned from one of our popular tours of Japan, where they discovered why so many are fascinated by Japan’s culture, landscapes and cuisine. Read their guide below to inspire you on your own Japan tour. 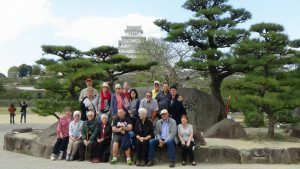 After meeting our lovely Wendy Wu Tours National Guide, Etsuko, we joined our new travelling companions and started exploring wondrous Tokyo! 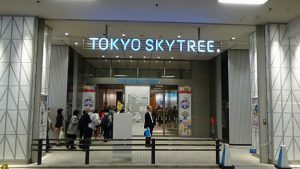 In no time at all we found ourselves at The Tokyo Skytree – the largest tower in the world – and the second-largest structure in the world, only behind Dubai’s Burj Khalifa. 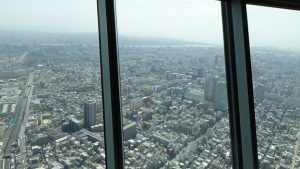 Luckily for us it was a clear day and the view from above gave us an eye-popping view of just how big Tokyo is – it spread for miles as far as the eyes could see. One of the most captivating things about Tokyo is how it blended modern high-tech gadgetry with a sense of tradition and history, and this was evident as we made our way from the Tokyo Skytree to Senso-Ji Temple. 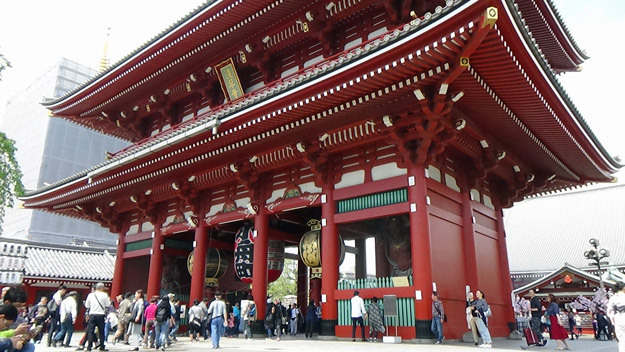 Originally founded in the 7th century, it’s Tokyo’s oldest temple and locals still use it as a place of worship. 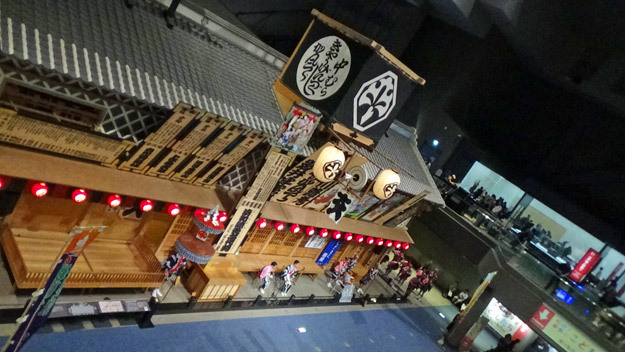 Our next stop was The Edo Museum, which covered the Edo period of Tokyo’s history across numerous galleries. 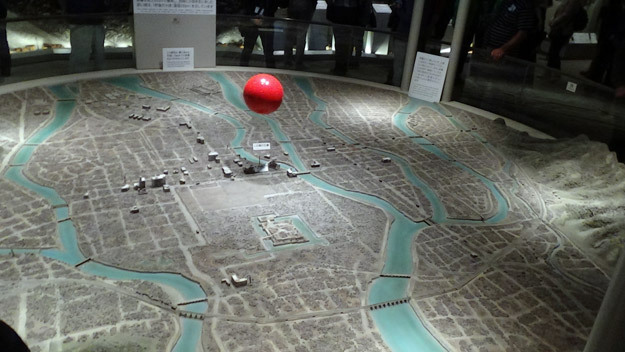 It was fascinating to see the reconstructions of famous moments in Japan’s history. Our final stop of the day was the Imperial Palace East Gardens and we were lucky enough to see the Cherry Blossoms, which brought smiles to everyone’s faces in the group. 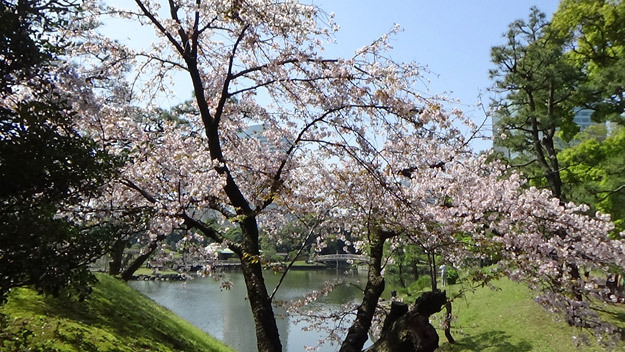 The next morning, a short drive from our hotel led us to the classical landscapes of Hamarikyu Gardens, a 70-year-old public park originally used for duck hunting. We were in luck once again as late-season Cherry Blossoms decorated certain parts of the park and really helped showcase its beauty. 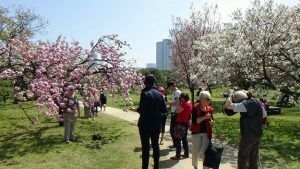 After snapping some wonderful photos of the blossoms we drove a short distance to the famous Meiji Shrine, named after and dedicated to the late Japanese emperor who opened up Japan to the West in the 19th century. 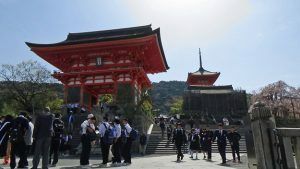 The first thing that struck us upon visiting was the 12 metre high Tori gate, which was made of 1500 year-old Cedar wood. 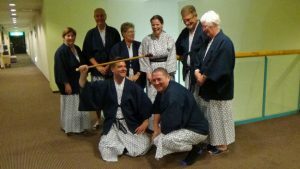 We visited at the right time as we got to witness a local wedding, where the lovely bride and groom, and their families, all wore traditional Kimonos – the national costume of Japan. 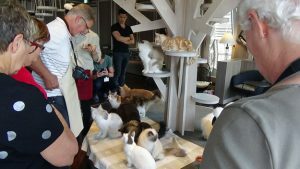 Following on from a delicious bento box lunch we had some free time in the afternoon and many in the group went to one of the unique cat cafes found in Tokyo – ourselves included! Due to the small size of apartments in Japan, it’s very hard for locals to keep domestic pets. 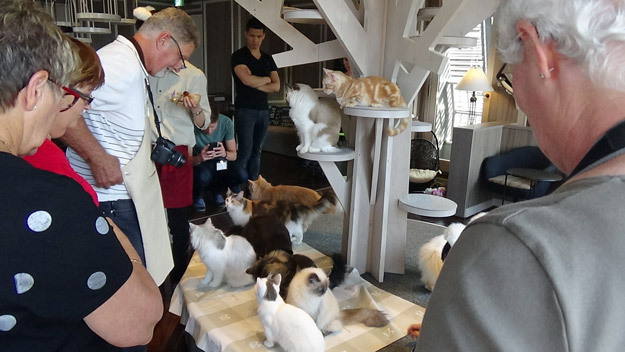 Cat cafes let the Japanese interact with the well-cared-for felines in order to destress from their busy working lives. The touring members who went along to the cat café this afternoon with us really enjoyed watching and interacting with their new cat friends! To end our time in Tokyo it was a dinner with a difference, as we found ourselves on a beautiful boat cruising around Tokyo Bay enjoying a lovely buffet meal. We were treated to musical entertainment up on deck and the beautiful bright neon lights of Tokyo shining around every corner of the bay. It was a wonderful way to end our time in this astounding city. 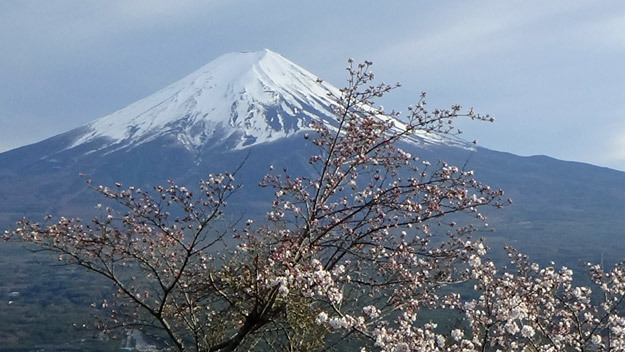 Today we were eager to explore Mount Fuji and its famous Five Lakes. We will never forget the moment our coach turned a corner on our journey there and Mt Fuji displayed all her magnificence on our left-hand side. After stopping taking and many photos of the impeccable blue skies, we all agreed it was a major travel bucket list item ticked off! 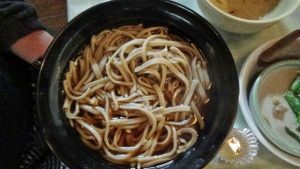 A short drive later, we found ourselves in the home of two friendly local women who instructed us on how to make our own Soba Noodles. There was much laughter and a few mistakes until we got the hang of the process, but our efforts were well-rewarded when our two new friends took our freshly-made noodles away and returned minutes later with a thoroughly delicious lunch made up of our own handiwork. 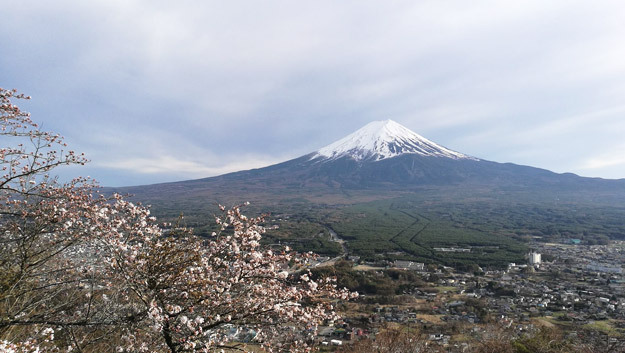 In the afternoon, we travelled up to Mt Fuji’s 4th station to get a different perspective of Japan’s famous mountain. It was stunning, and we got to see snow en-route! Our final stop for the day was the Mt Fuji Visitor Centre to learn more about its history and geological make-up. 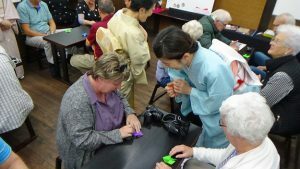 After a busy day – but one that will long be remembered by us and everyone in our group – we headed to our lodgings for the next two nights which happened to be a hot spring resort beside the shores of Lake Kawaguchiko. Hot springs are incredibly popular in Japan. Known as onsen, they have been enjoyed by the Japanese for centuries for their health benefits and as a place to socialise. The next morning, we arrived at local village Iyashi no Sato. 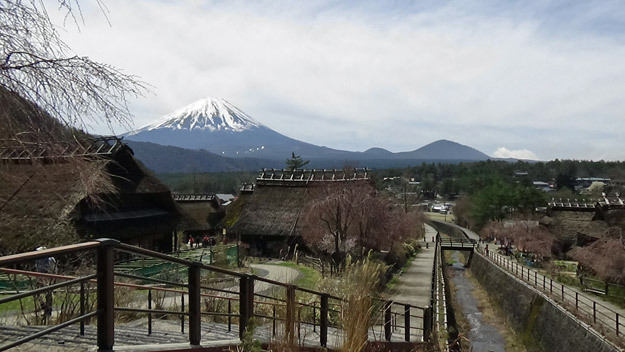 Famous for its thatched houses – as well as its great view of Mt Fuji – this historical village gave us an insight into what traditional life was like for locals in the past. A big highlight was the option to dress up in traditional Samurai regalia or Japanese Kimonos. The pictures looked great! We all enjoyed Japanese-style grilled chicken for lunch, along with a surprise for two of our lovely passengers when a special dessert was brought out in honour of their 47th wedding anniversary! The surprise on their faces was wonderful to see and we know they’re probably still wondering how Wendy Wu Tours knew their anniversary was today when they were travelling in Japan. Our final stop today was Oshino Hakkai, a beautiful area of tranquil scenery featuring five large ponds filled with the melting snow from Mount Fuji. The water was crystal clear and filled with large Trout and Koi Carp. There were also some stunning views of Fuji from here! Returning to our resort in the late afternoon with daylight to spare, some of our group headed up a mountain by cable car – the station for which was right next door to our hotel – for a final view of Mt Fuji. 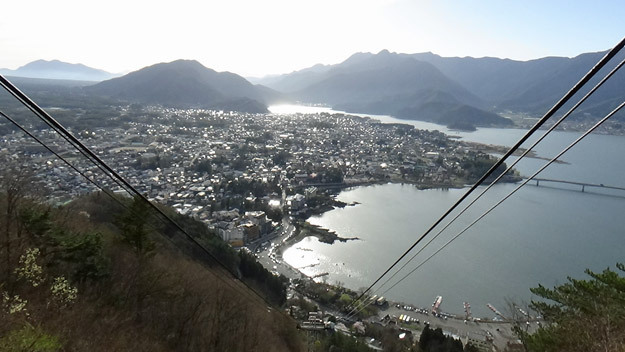 The views were magnificent; the lighting at that time of day perfect for getting some final photos of this pristine and beautiful part of Japan. 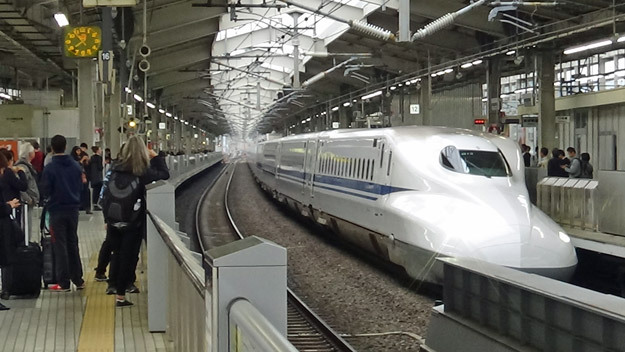 We got to experience Japanese efficiency with a bullet train ride to Kyoto. It was a unique experience to travel so fast yet so smoothly across the centre of Japan! With plenty of leg room and a delicious bento box lunch, in no time at all we were pulling into Kyoto: Japan’s ancient capital city. The city conjures images of ancient temples and Zen gardens, and it did not disappoint! Kyoto was incredibly beautiful and a wonderful place to experience traditional Japan, its unique culture and ancient customs. We met authentic Japan head-on during lunch with a genuine Maiko, an apprentice Geisha, in a traditional tea house. She was beautiful and entertained us with a Japanese dance. 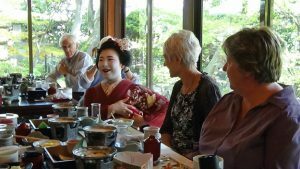 As part of Geisha culture, their role includes talking with guests. Our Maiko, named Fukuya, sat with us and answered our questions about life as a Maiko and living in Kyoto. 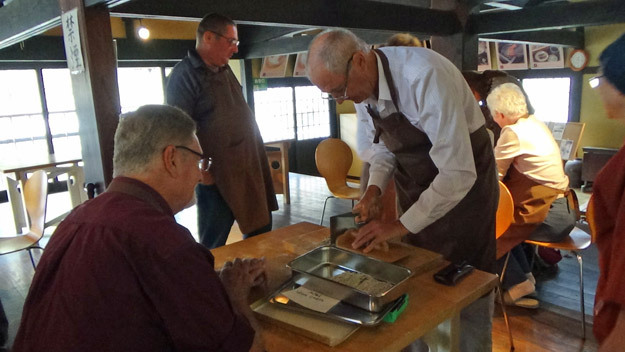 It truly was a fascinating experience. We were in for a lot of fun this afternoon as the group engaged in the centuries-old art of Japanese paper-folding known as Origami. Our teacher was fantastic at keeping her explanations simple, and before we knew it we were making our own Origami frogs and paper boxes. 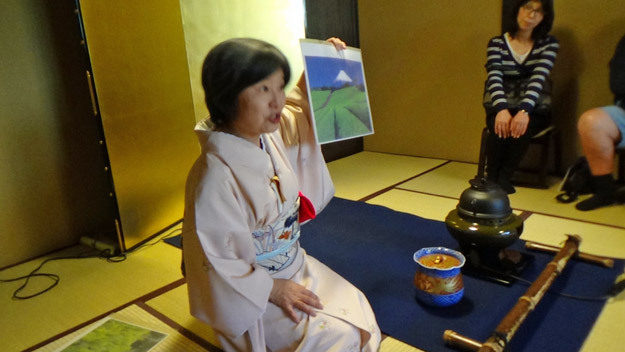 We then indulged in a wonderful tea ceremony. The next day was spent temple-hunting in Kyoto. The beautiful Ryoanji temple was inspiring, with a Zen rock garden as its centrepiece. We felt very calm here as we sat and reflected over the Zen garden. 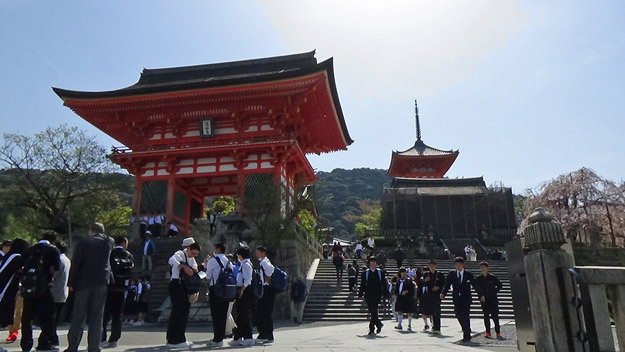 Kiyomizu-dera, a 16th century Buddhist temple set in the hills surrounding the city, offered spectacular vistas over Kyoto. Lastly, we explored Kinkaku-ji, better known as Japan’s ‘Golden Temple’. 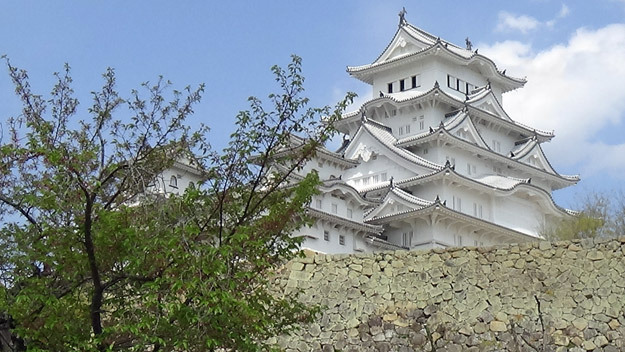 It’s one of Japan’s most iconic sites and we could see why! 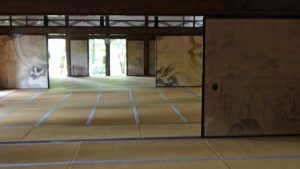 As our time in Kyoto came to a close, we felt as if we had absorbed the true heart of Japan. We hopped on the bullet train once more, speeding to Hiroshima. 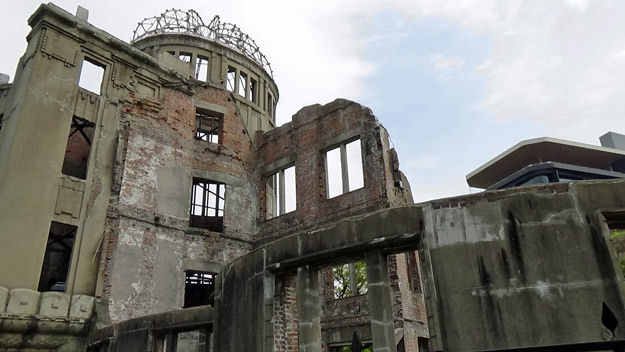 The city today is vibrant and modern, but is remembered for its sad events in WW2. We visited the Peace Memorial Park and Museum; a poignant and reflective experience. After lunch, we had a scenic 15-minute boat ride across the water to take us to Miyajima Island, where an iconic image of Japan awaited. 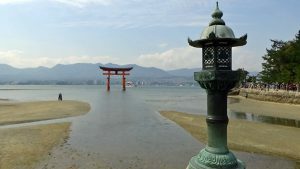 Once on the island, we walked to see its most famous Shinto shrine, known as Itsukushima. It has a wonderful red Torii gate. As it sits on the edge of the coast, at high tide when the sea crawls over the land it gives the impression that its floating on the water. Our last full day in Japan included a visit to Himeji Castle. 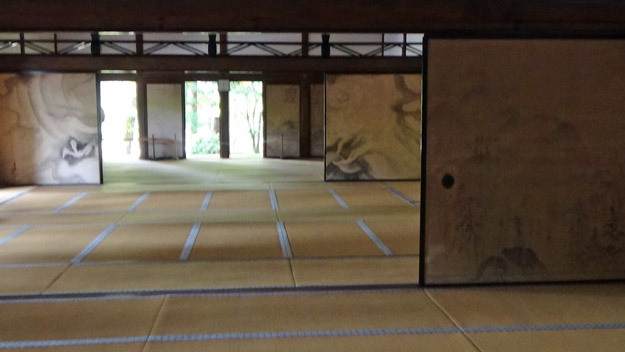 Sacred to the Japanese and dating back over 400 years, and remains largely intact from its original state. Its white facade glinted in the sunlight. We climbed up its wooden turrets and were rewarded with a magnificent view from the top, before we explored its neighbouring gardens and took the last photos of our epic trip. 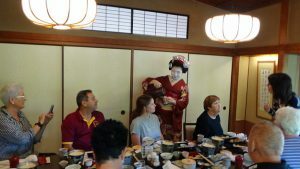 We ended our last day in Japan with a farewell meal in vibrant Osaka, where we looked back on our time in Japan fondly. Don’t miss out – visit Japan now! 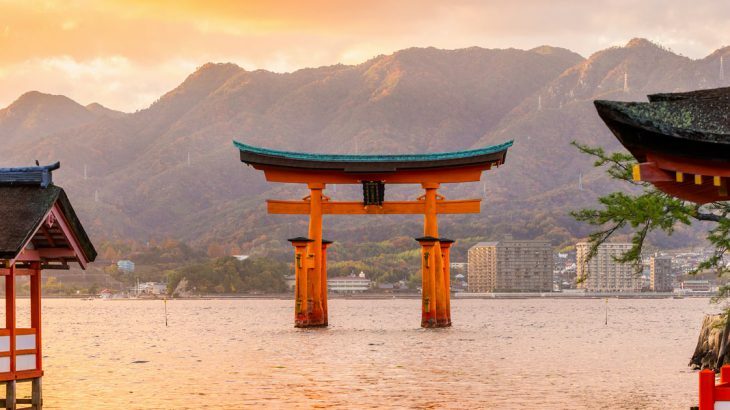 With the Rugby World Cup taking place in Japan in 2019, and the Olympics taking place in 2020, now is the time to visit the stunning country that is Japan. Whether it’s to see the gorgeous cherry blossoms, or the country’s magical autumn leaves, you’ll be guaranteed the holiday of a lifetime. Mark and Lachlan travelled on our fully inclusive 11-day Jewels of Japan tour. You can currently either save up to £500pp on selected 2017 and 2018 departures, or upgrade to business class from only £99pp! Japan fam, japan news, sightseeing, top things to see, tours. permalink.